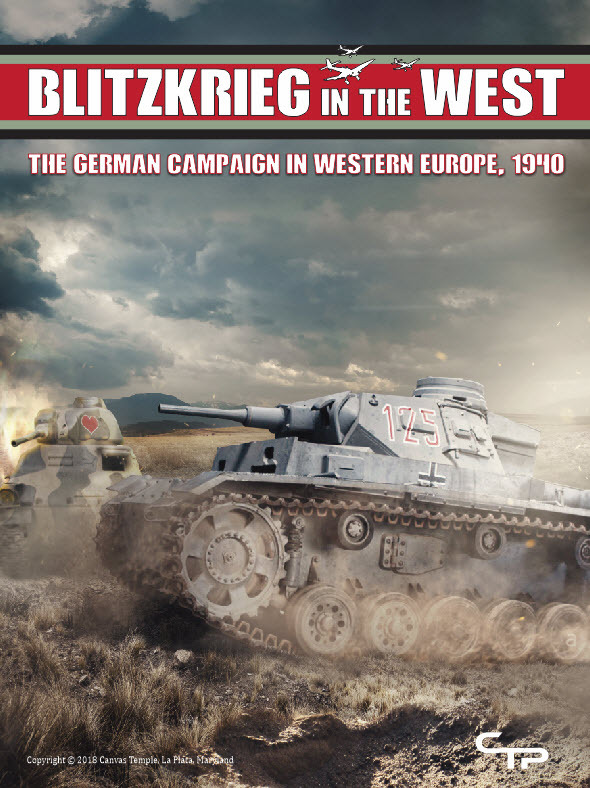 Blitzkrieg in the West [CTP1801] - $89.95 : Canvas Temple Publishing, Old Codgers Trying to Retire! 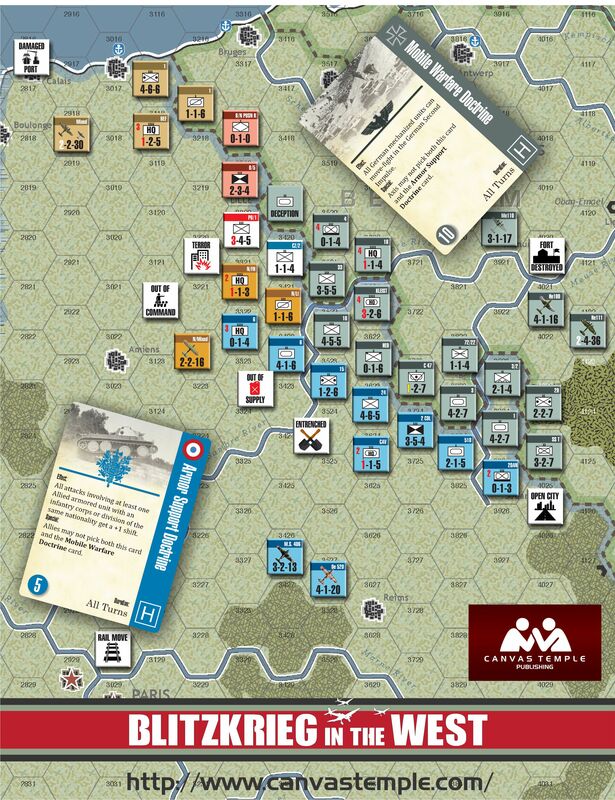 Blitzkrieg in the West is a simulation of the German campaign in Western Europe, 1940. The Wehrmacht stunned the world by defeating the Allied armies in a few short weeks. Yet prior to the start of the campaign, no one expected such a victory. 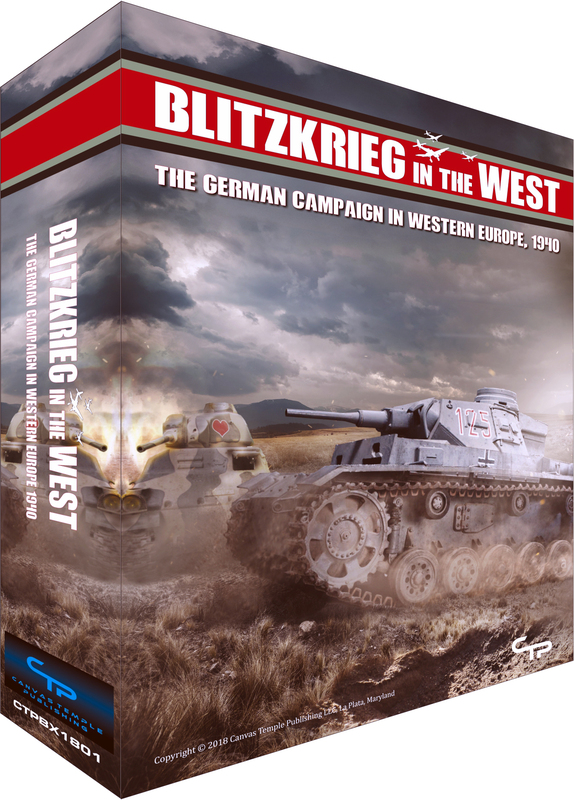 Blitzkrieg in the West puts the players in the same position as the commanders in the original campaign, giving each side unique advantages. Blitzkrieg in the West is a two player game. 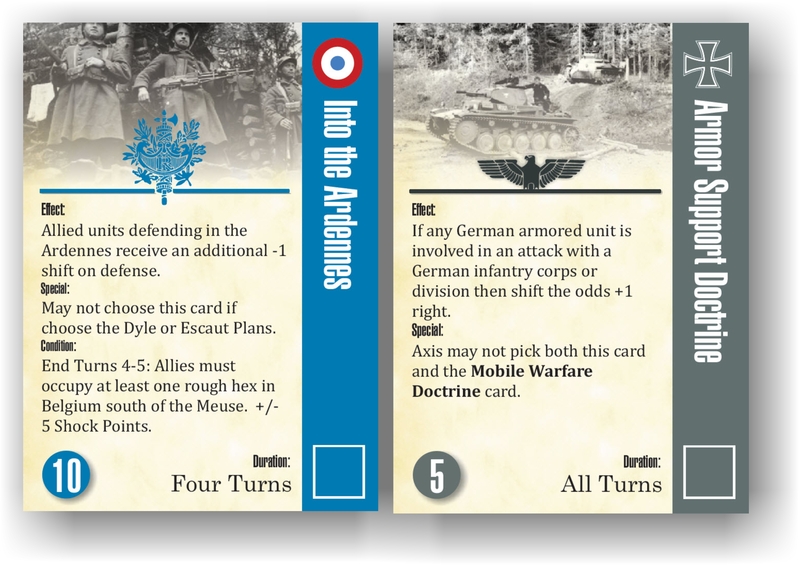 One player controls the Germans and the other the Allies (France, Britain, Belgium, Netherlands). 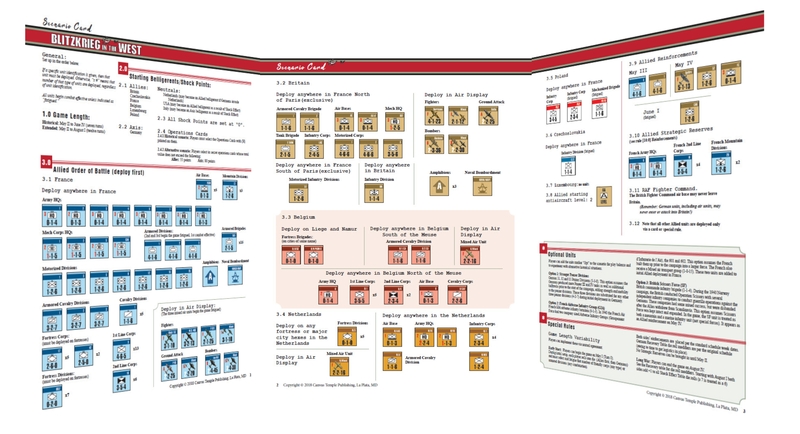 Each player has a pre-selected set of options representing the underlying doctrines and tactics that can decisively change the course of the campaign. Players select options prior to start of play, developing game strategies and exploiting unique forces such as armor and airborne. For example, the Allies can trade the Maginot Line for more mechanized ground units, while the Germans can bring in Strategic Luftwaffe. 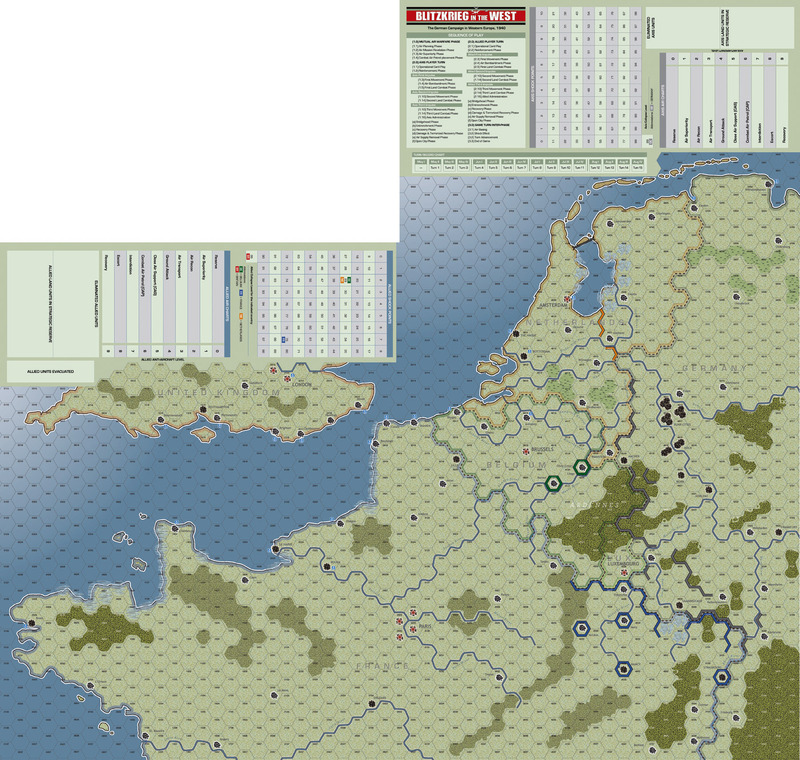 These options also introduce leaders such as Rommel and DeGaulle, as well as fog of war elements as players do not know the other side's capabilities until they play out in the course of a campaign. Each game will provide unique challenges. Players can choose their weapons when attacking with Assault, Probe, and Combined Arms combat results tables. Various game actions create shock effect, shifting national morale. By striking hard, one side can gain a decisive victory–or go down to disaster. Air-power is modeled at the operational level with geschwaders and groups. Air units are distinguished by type, with different capabilities for air superiority, ground attack, and interdiction as well as airborne and air supply missions. There are also several experimental aircraft for what if scenarios. 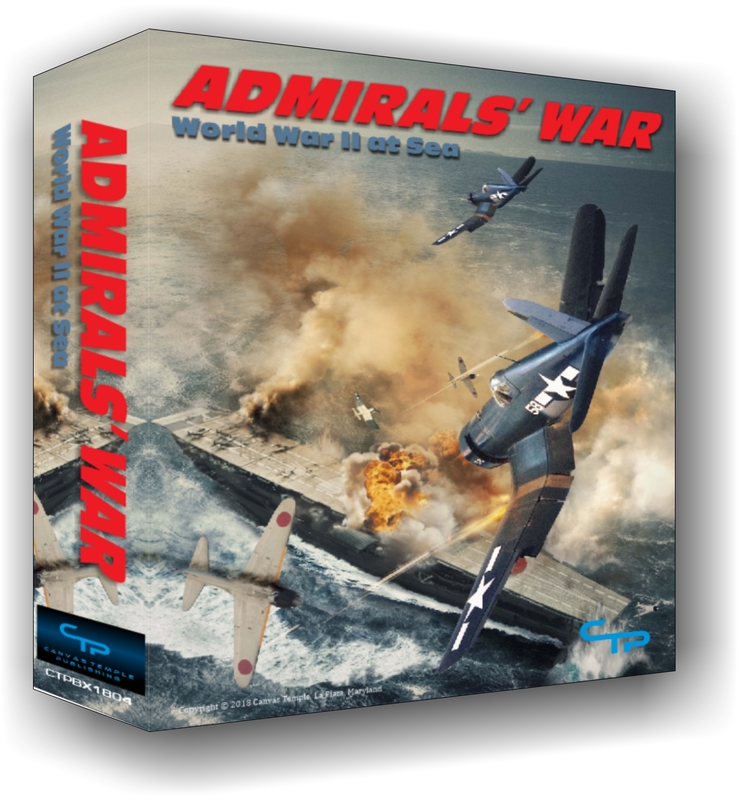 The naval dimension is represented with fleet gunfire and Dunkirk style evacuations. Special rules account for open cities, bridgeheads and flooding lowlands to impede enemy operations. 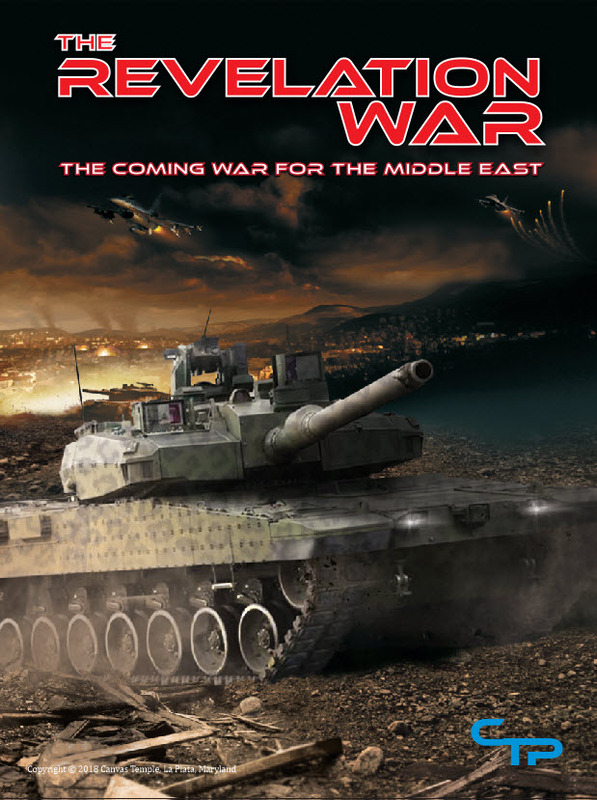 There are also options for limited US and Italian intervention. The game map spans western Europe from the Rhineland to the Bay of Biscay. Each map hex is 20 kilometers across and each turn represents one week of operations. Turns consist of impulses, allowing forces with mechanized doctrines to make multiple move-fight actions. 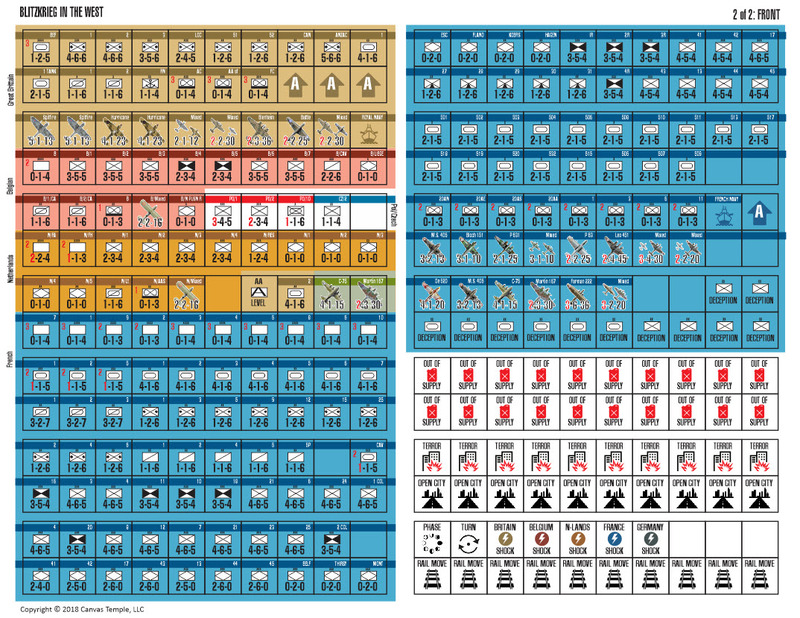 Mechanized units are division level, while infantry are mostly corps. There are also some non-divisional airborne, assault gun and special forces units. 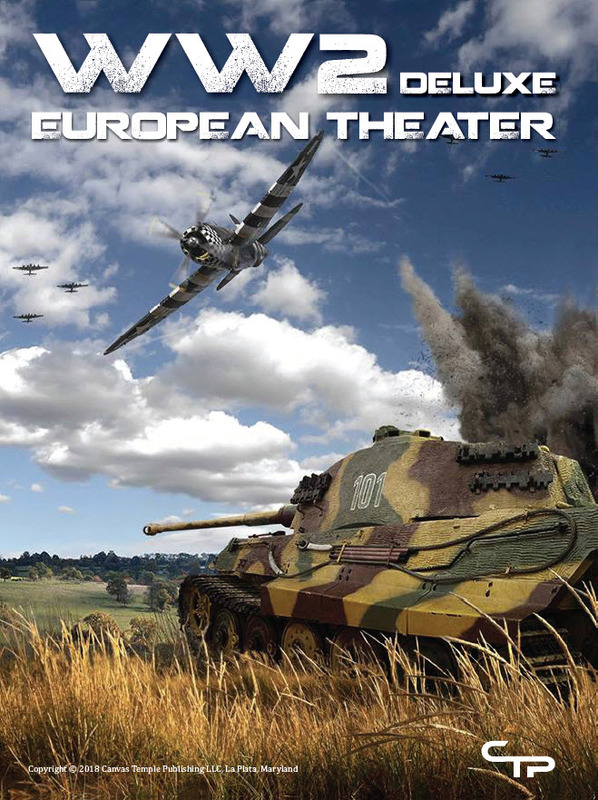 Blitzkrieg in the West gives you the player the opportunity to seize a great victory!